The above quote from the Book of John is to me one of the most mind blowing concepts in all of Scripture, that the God and Creator of the universe would love me enough to lay down His life for me, much less go so far as to call me a “friend.” The God who says I must be perfect as He is perfect, yet who knows exactly how much I have generally failed, and specifically failed Him. The God who says I deserve to be separated from Him for my rebellion against Him, then makes the way for me to be with Him. Mind blown every time I even begin to consider. But the good news is this isn’t about me. It is all about Him. Jesus didn’t simply mention this as some abstract concept with “wouldn’t that be nice” platitudes. This one who identifies himself as “the Good Shepherd” who “lays down His life for the sheep” actually did just that. The God-Man who could call down legions of angels, who could create the universe or knock over armed soldiers with just a word, and who claimed the ability to lay down His life and take it up again­—this one allowed Himself to be falsely tried, beaten, tortured and killed on a cross, all to pay for the rebellion of His people so they could know and be with Him. “While we were still sinners.” This means rebels like us who don’t love, listen to or believe Jesus. That’s who He died for. Again, it makes no rational sense, unless we look through the greater lens of ultimate love. And this type of love requires a response. If someone really did take a bullet for you, how thankful would you be? In essence, Jesus took the ultimate “bullet” on the cross in the ultimate act of love­. He endured all that pain, but worse yet, He was for a time separated from God the Father, torn from the community He had known for eternity, so ultimately sinners didn’t have to be. Yet, unlike a mere human rescuer, Jesus returned to life 3 days later, making Him the single most important person in history to listen to because it proved all He claimed about Himself was actually true. In response to knowing all this, I can do no less than worship Jesus, do what He says and tell anyone who will listen about Him. But there’s more good news. Not only is this not about me, it was certainly not done only for me, but for all who believe Jesus is who He says and did what He promised. As we believe and trust Jesus, He both saves us from our deserved separation from God and also helps us turn from the thoughts and behaviors that create that separation in the first place­—from our deadly rebellion into ultimate love and life with Him. This is another form of response caused by this love, a supernatural change inside us to want to follow and be more like Jesus, who we can then see as our greatest friend. What wondrous love is this? 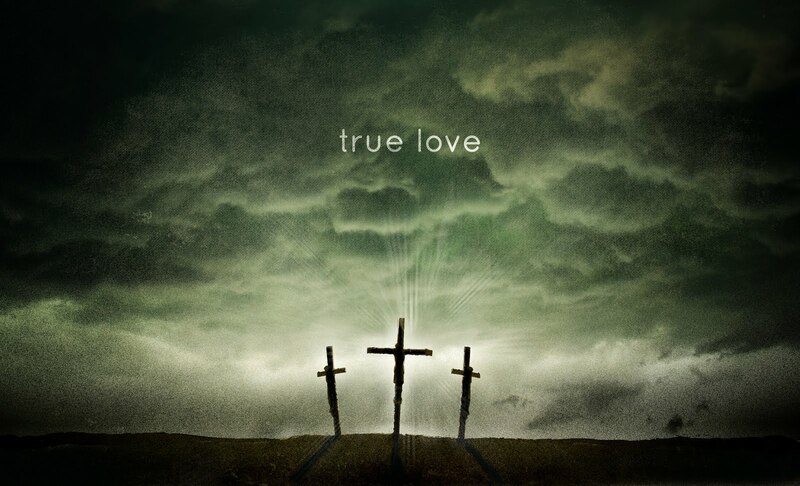 The greatest love. The love of God found only in Jesus.